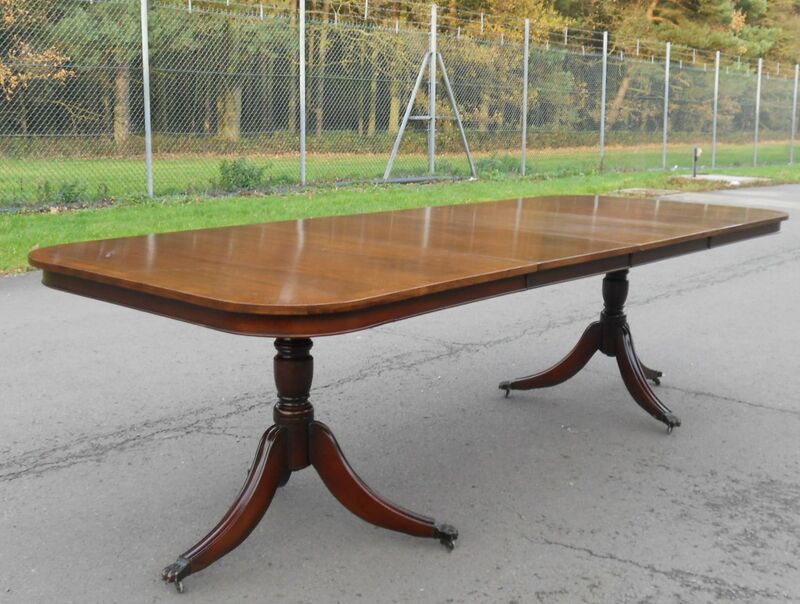 Antique Georgian style set of ten mahogany dining chairs with matching twin pillar extending dining table in solid mahogany. Two carver armchairs and eight matching single chairs all carved sheild backs. Raised on square tapered legs and having drop in seats. All in sturdy condition with original polish finish. 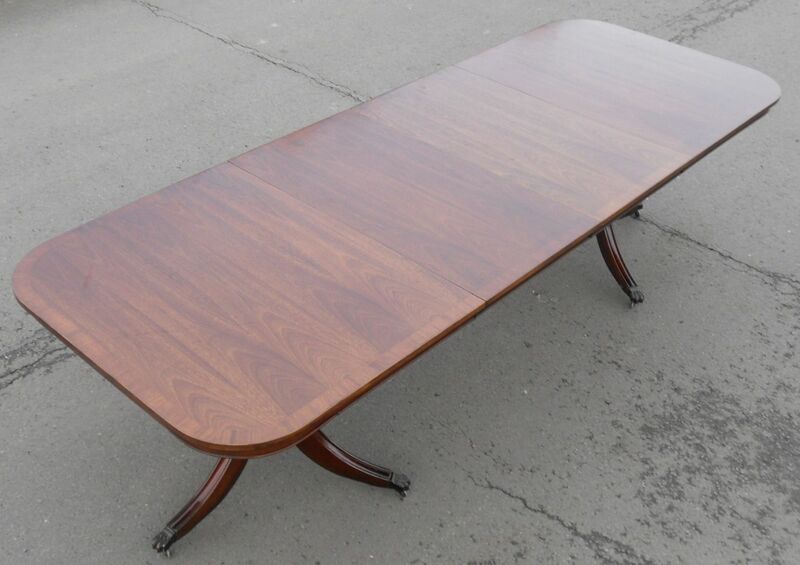 Matching extending, solid mahogany top dining table. 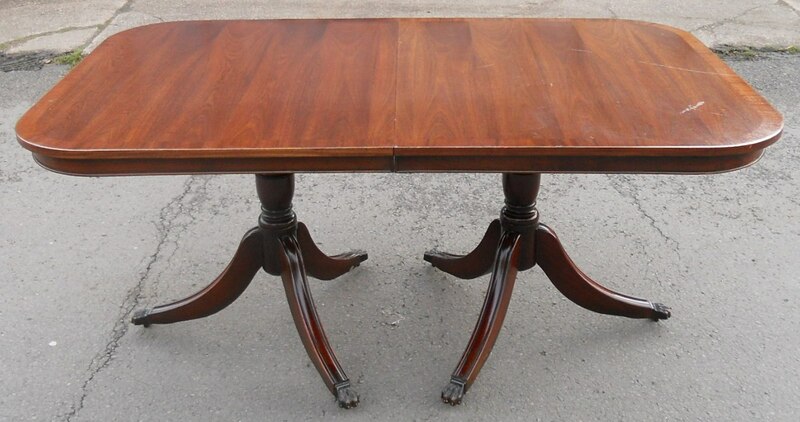 Having two extra leaves, table can be used without leaves or can be extended with the two spare leaves and two supporting underneath wooden rods which make the table very sturdy. Metal fixing clips underneath, easily secure table in position. Having original polish finish, with small areas of aged wear to the table top. Overall a lovely, pleasing colour and the whole suite is in nice condition. Length with Two Leaves to Seat Ten People 82"